STORIS has launched the latest addition to our Unified Commerce Solution, CXM: Customer Experience Management. CXM is an in-store technology application designed to empower retail sales associates to deliver exceptional customer experiences. CXM is the first of STORIS’ Unified Commerce Solutions to be developed within the company’s new technical stack. The technology relies on a fully cloud-deployed, API-driven, microservices architecture backend. STORIS’ new CXM technology is inherently web-based, device agnostic, and mobile responsive for use on any device with a web-browser. This makes CXM usable on devices from smartphones to tablets across all operating systems. The initial deployment of CXM is designed as a resource for sales managers and associates to re-invigorate personalized customer service. CXM will enable sales associates to track relationships and activities with prospective customers, view a customer’s open orders and historical purchases, and manage a shopping cart. Shopping carts are integrated across STORIS, eSTORIS, and the Kiosk for a Unified Commerce experience. 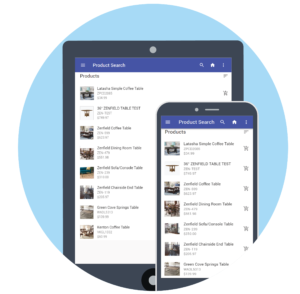 On the inventory side, sales associates can utilize the same CXM application to search for products and view details such as availability by location, pricing, time-sensitive promotions, and imagery. A new Inventory Suggestions feature helps build the lifetime value of a customer. Retailers will benefit from algorithms that use established product hierarchies along with items in a customer’s cart to smartly suggest product recommendations. This is valuable to help close initial sales and cater to the personal styles of existing customers. Another exciting capability of CXM is the Customer Interaction Timeline. The Timeline is a chronological activity stream of customer engagements such as notes, events, phone calls, texts, and emails. This allows sales associates to build customer relationships and, for a new sales associate working an account, to benefit from the rich historical information. It’s all a part of creating consistent brand experiences that customers crave. For retailers that may have a history of duplicating customer records, new merge functionality allows for easy consolidation for a single customer view. CXM is also valuable in the early stages of prospecting such as following up on leads. A sales associates can build an order and use the Timeline feature to set reminders for follow up on closing an open sales order. Savvy sales associates can also act on the insights within this tool for effective marketing. STORIS’ first in-store mobile application, eRoam, was released eight years ago. Today, CXM is released as the next evolution of STORIS’ in-store mobile solutions. Like all STORIS’ Unified Commerce technologies, CXM will follow its own development roadmap to progress its functionality. CXM will be available for live demonstration during October’s High Point Market. STORIS showcases in the HFA Retailer Resource Center located on the 1st Floor of the Plaza Suites building. We encourage retailers to stop by and see how CXM can energize your Brick and Mortar channel.